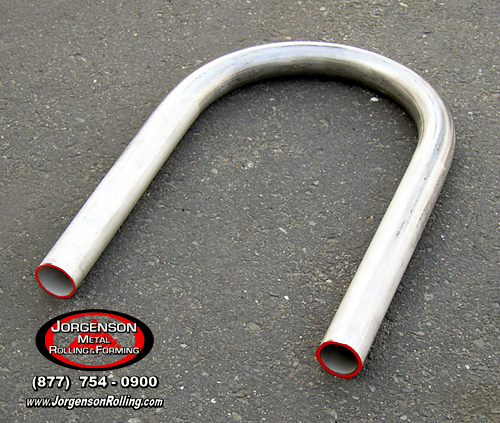 Tube bending and pipe bending services produce finished parts from tubes and pipes. Tubes are hollow, usually cylindrical objects that are used as flow lines for fluids and gases in pneumatic, hydraulic, process. Tubes are generally smaller and less rigid than pipes, larger devices that are used in transport systems for fluids and solids in a variety of applications and industries. Tube bending and pipe bending services specify tube size by outside diameter and pipe size by inside diameter. Typically, diameter is measured in inches (in). 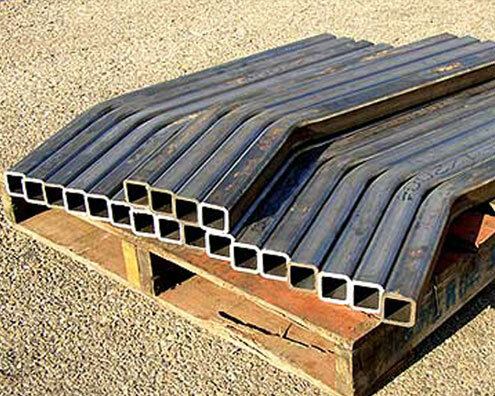 Although most tubes and pipes are cylindrical, products with oval, round, square, and rectangular cross sections are available. 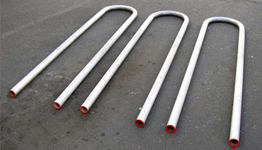 Bendable tubes and pipes are made from materials such as aluminum, brass, carbon steel, stainless steel, copper, nickel alloys, titanium, and superalloys. Some tube bending and pipe bending services produce finished parts from products that are made of Inconel®. 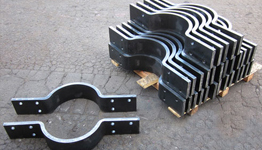 Related Services: tube bending, pipe bending, bender square tubing, wire tube bending, tube end forming, tube fabrication, pipe fabrication, pipe roller, mandrel tube bending, pipe bending tool, tube bending tool, bend square tubing, tube bending die, CNC tube bending, square tube bending, swaging machine, pipe bending die, custom pipe bending, bending copper pipe, bender manual square tubing. Bending steel tubes, pipes, beams and more. 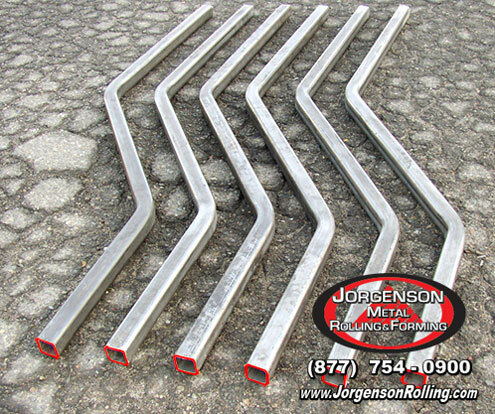 Since 1984, Jorgenson Metal Rolling and Forming has been in the business of bending steel and other metal. 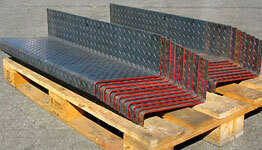 We provide structural steel rolling, forming and bending. 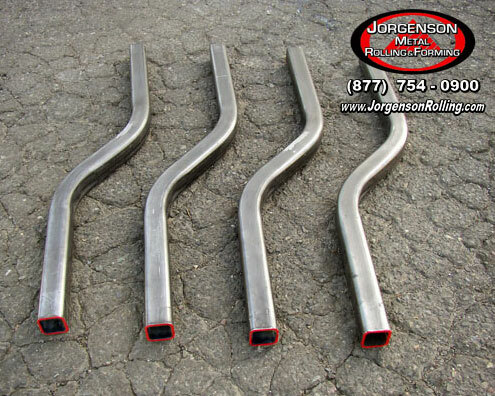 We bend tubes and pipes, channels and beams, tracks and railings. 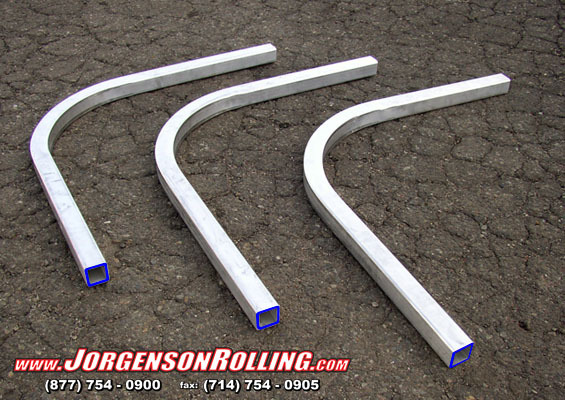 If it's steel or any other metal, we can bend it. 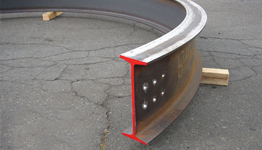 We show many samples of our quality metal-bending work on this website, from bending pipes and tubes to bending steel beams. Feel free to browse through the pictures and descriptions and then call us for a quote. + Channel Rolling up to 15"